But he’s making his immigrant parents proud. The long-awaited second season of Aziz Ansari and Alan Yang’s Netflix comedy ｢Master Of None｣ continues along the path that made it a critical darling when its first season debuted in 2015. Picking up from last season’s finale, Dev (Ansari) is in Italy, single and pastamaking; once he returns to NYC, the show touches on issues ranging from the Ansari family’s Muslim background to the experiences of various POC service workers. ｢Master Of None｣’s second season eventually winds toward a conclusion that’s both inevitable and surprising, featuring a moodier, more resigned Dev. After profiling Ansari for VICE Magazine in 2015, I wanted to talk to 34-year-old co-creator, executive producer, and writer Alan Yang. Over sisig (fried pork) and dasilog (fried milkfish), I spoke with the Riverside, California native about their excellent new season, dating less white people, and just how political the show’s aims really are. VICE: One of the most interesting episodes in the second season is “New York, I Love You,” which exclusively follows POC service workers – a doorman, a convenience store clerk, a taxi driver. How did you come up with this concept? 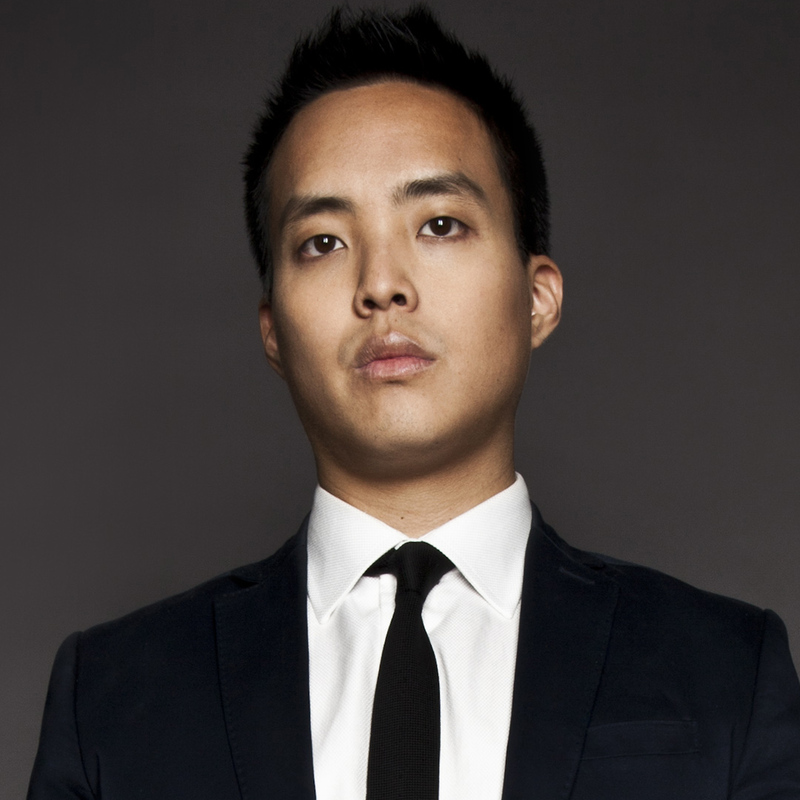 Alan Yang: Prior to season one, Aziz and I were walking around New York trying to figure out what the show was. We’d just come up with the ｢Parents｣ episode, which opened our eyes that the show could be anything. We walked past a guy selling sunglasses on St. Mark’s Place and were like, “What’s that guy’s life like? What if we just follow that guy for a whole episode?” We always joke about how, in a Jennifer Aniston movie, she walks into her nice apartment building and the doorman’s like, “Hi, Mrs. Shelton!” and that’s his only line in the movie. What if you just follow him for the whole movie? The impetus behind that episode is that every human being in the world is the star of their own show. No one’s a side character. We wanted to come up with stories that were as funny, satisfying, heartfelt, interesting, and nuanced as Dev’s stories are. We came up with a lot of different stories and we threw most of them out, because the standard was always, “If we wrote this for Dev, would we put it in the show?” Usually, the answer was no. We had a story about the home life of an older Chinese lady who worked as a waitress. We wrote it out and were like, “This one’s not as good,” so we didn’t use it. How important is presenting this kind of representation to your audience? The number-one thing that we think about: Is it a story that interests us? ｢Religion｣ depicts Aziz’s family and his parents, who are goofy, caring, loving, and stern – and they just happen to be Muslim. We’re not necessarily going into these episodes with specifically political or representational messages. I always wanted to do an episode about religion, because I thought it was interesting that the star of our show had Muslim parents. I don’t think people knew that about Aziz – I think people assume he’s Hindu, or who knows. We ultimately ended up with an episode that’s not really about religion or Islam, but about talking to your parents and coming to terms with who you are as an adult, as well as how much you’re willing to reveal to them. There used to be a montage of people being dicks to Dev because he’s a brown guy. We shot one of the scenes the day after Trump got elected, and it was really harrowing and weird. I had to tell this actor to yell, “Terrorist!” at Aziz the morning after Election Day. A lot of this season was already written before Trump won. When he got elected, we panicked. We were like, “Do we need to address this? Do we write new stuff?” We asked our friends at ｢The Daily Show｣ and ｢[Last Week with] John Oliver｣ to send us clips of Islamophobia. We did research, and it just didn’t feel right. I had that thought but unrelated to Trump, where I was like, “Too many white women.” I’ve talked about this with Aziz. Most of the people we meet on the street or through our friends are white. More than half of the people you meet in New York are white. Especially in our respective industries. Do you know how many Asian American writers there are in entertainment? It’s pretty low. I’ve had enough Asian, Indian, and POC come up and talk to me about the show, and I’m glad that they’re into it. If it can give one brown kid in Montana an iota of optimism, that’s great. It can feel very isolating to be in a place without anyone who looks like you. Do you feel you’re personally focused on reaching that alienated brown kid in Montana? That’s all subconscious and happening below the surface. Aziz and I are writing for ourselves, and we’re kids who grew up like that. Some of the stuff that we like – the specific jokes or experiences that we’re throwing into the show – are probably specific to people who look like us, but tons of it is universal and very much about longing, regret, or alienation. Loneliness is a big thing in this season. Who hasn’t been lonely? Ryan Reynolds has been lonely. I think. In Sherman Alexie’s upcoming memoir, he talks about having never read another Native American writer until he was in his 20s. I didn’t read anything by an Asian writer until I was in college. Was that similar for you? It’s been a long time since we had an Asian American hero figure. Where’s our Harrison Ford or, our Leo? I’d settle for an Asian Chris Pine. They don’t have to be the biggest star in the world. We’re making strides, though – there’s dudes on ｢Crazy Ex-Girlfriend｣ and ｢13 Reasons Why｣. It’s slowly happening. Were your parents supportive of your career path? I’ve got to give it up for my parents. They’re very open-minded and progressive, even if it’s not expressed on the surface. They’re not “cool,” but they’re cool in some ways. When I told them that I wanted to move out to LA and just try to write, they were like, “Yeah, OK.” I’m sure they were cringing and full of trepidation inside. [But] they just drove me out there and were like, “All right, buddy. You’re on your own now.” They didn’t really pressure me, and they still don’t. They just let me do whatever. I’ve been really lucky in that respect. I don’t think that’s super common amongst Asian parents. Do your parents watch the show? Yeah, my mom’s very proud. She’s a high school teacher, and all her kids watch the show and they like talking to her about it. After season one, my mom sent me a text that said, “I’m very proud of you. I know you worked really hard on the show.” My dad did a similar thing. He emailed me something nice. It’s good. That’s a big step for them. Next we’ll be saying, “I love you.” They already text it. We’re getting somewhere. Season two of ｢Master Of None｣ is now streaming on Netflix.